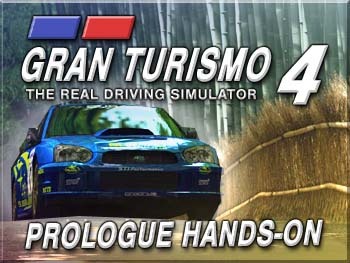 Kikizo | News: Gran Turismo 4 Prologue Hands-On, 24 Videos, Screens & New Courses Revealed! 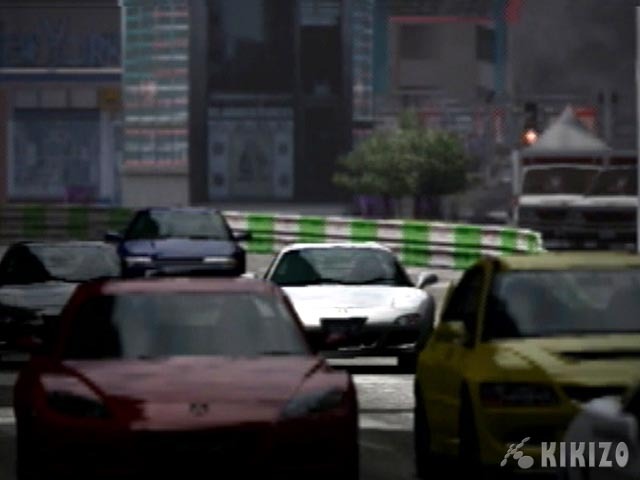 We test drive Gran Turismo 4 and bring you full impressions, along with the direct-feed, hi-res video blowout of ultimate justice. Plus - new courses revealed! 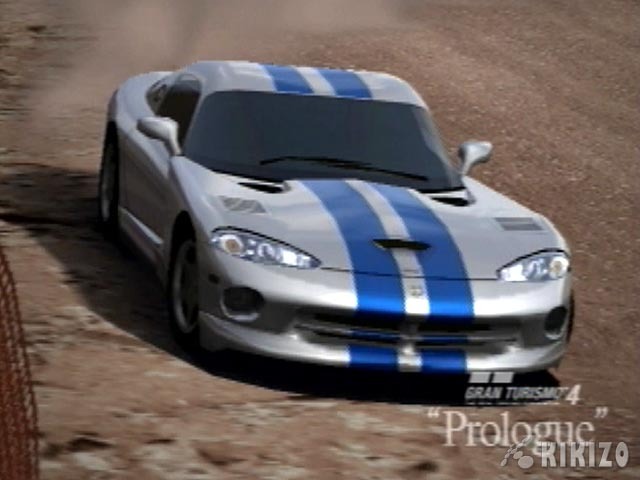 Gran Turismo 4: Prologue, the anticipated, scaled-down version of Gran Turismo 4 hit Japan last week after receiving domestic review scores in the high nines. 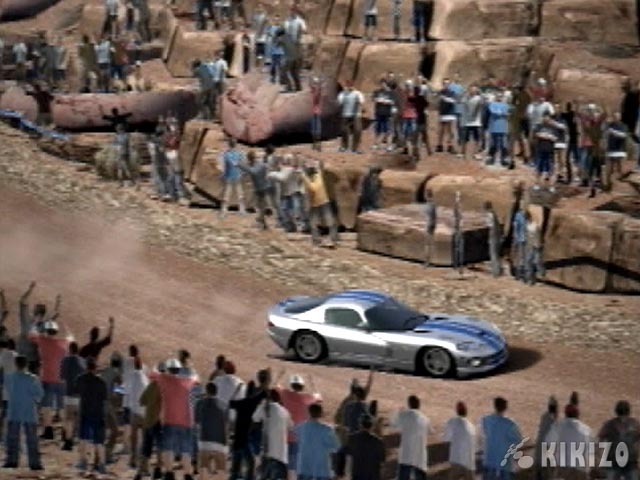 With five courses and fifty cars on offer, the package offers considerable value at the equivalent of under thirty dollars - but the real excitement will come when the final game sees a release next year with around ten times the number of cars and tracks. We've been playing this demo release like crazy - here's what we think, along with the usual over-the-top video coverage. 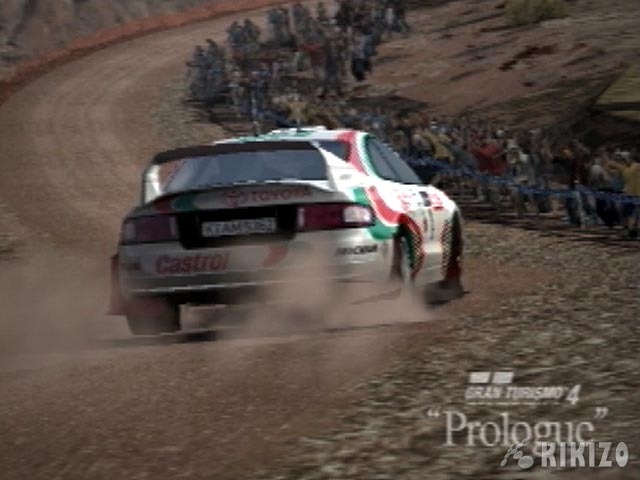 As a demo release, GT4 Prologue does not disappoint. 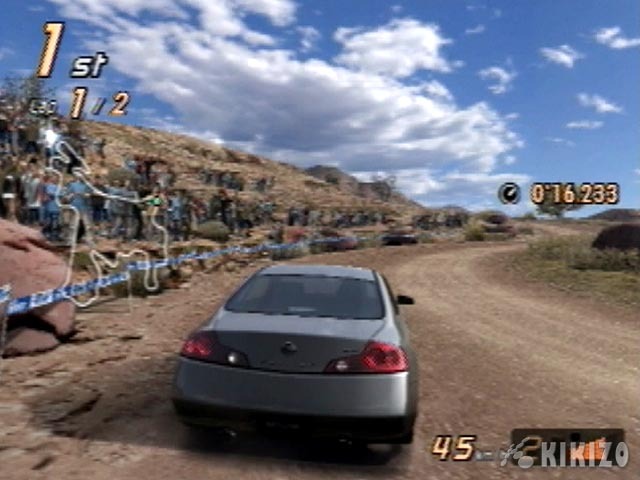 The inclusion of the training-style School Mode gets things off to a good start, putting you through a series of challenges in order to unlock the majority of the cars in the game. 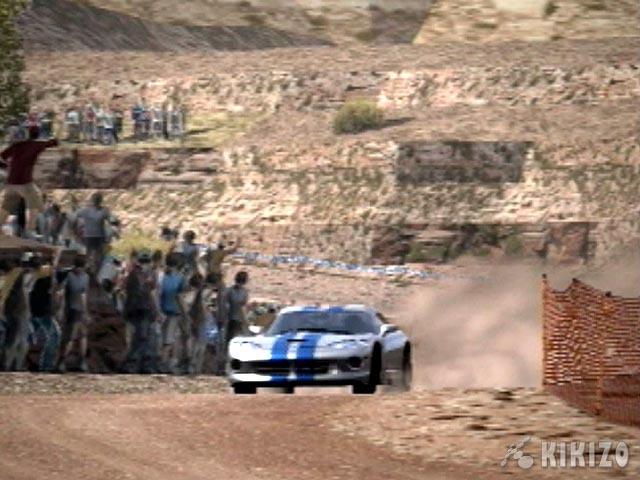 The challenges, initially spread across four achievement levels, start off easy - sticking to the best racing lines, reaching a top speed before braking to stop in a marked zone, cone challenges and so on. Just when you think you've cleared the School Mode however, you'll find an additional achievement level hidden to the left, with another twenty or so, infinitely more challenging tasks. These tasks can be infuriating, as veering off course (to the extent where all four wheels are off track) or merely touching a competing car forces you to start over. Just remember it's all in the interest of discipline! And for every task, bronze, silver and gold trophies are up for grabs, with the latter frequently proving a near-impossible goal. In terms of depth, GT4 Prologue already puts many racers into the shade. 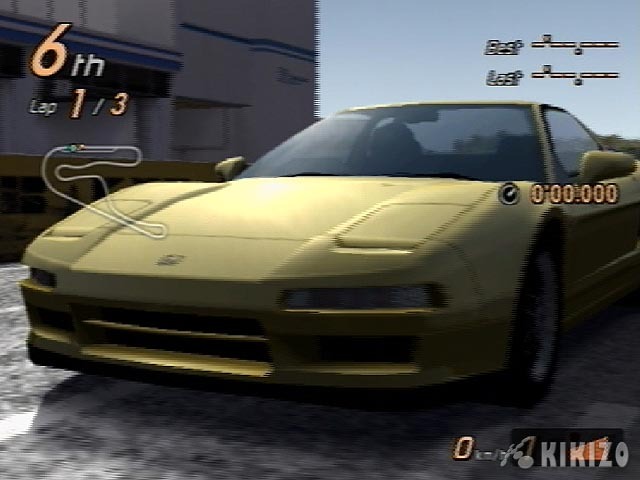 The Arcade Mode is where the quick thrills are found, but as you might expect, it's much more enjoyable once a shed load of cars are unlocked from School Mode - only twelve are available from the start. Clearing those first four levels in school mode takes only an hour or two, and also teaches you the strict disciplines needed to play the game properly - so it's worth spending time there first. 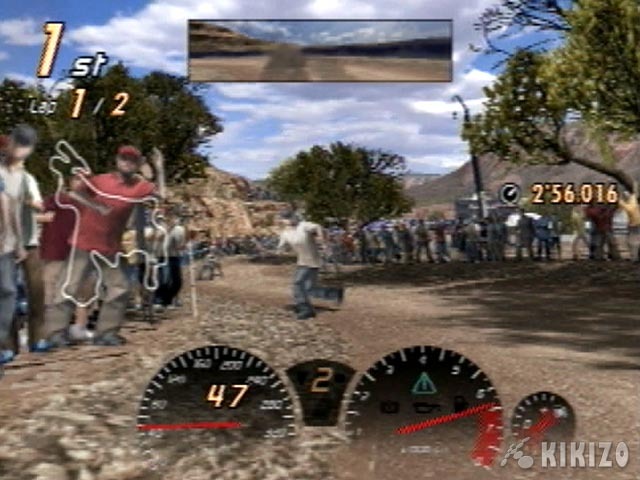 Arcade Mode lets you race against opponents only on three of the five courses available, and even this option has to be switched on in the options menu (it's the third one down on the game settings, illustrated by a crash helmet, if you're at a loss). 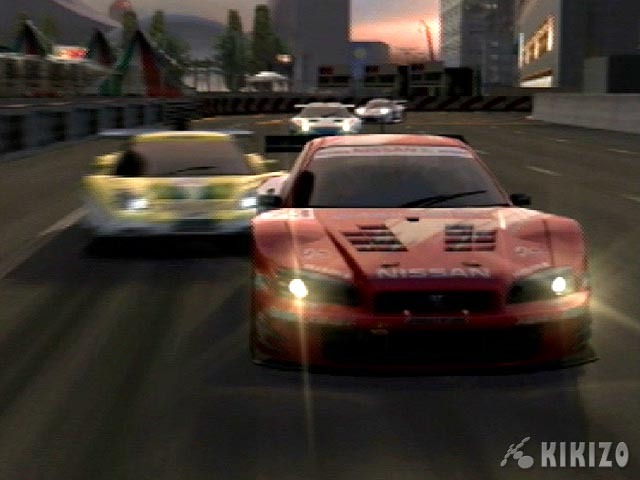 The arcade mode provides realistic driving and racing that is quite literally unsurpassed. The courses are beautiful, but it's the handling of the cars, and the discipline required to race effectively, that launches GT4 higher than any other racing game in terms of realism. 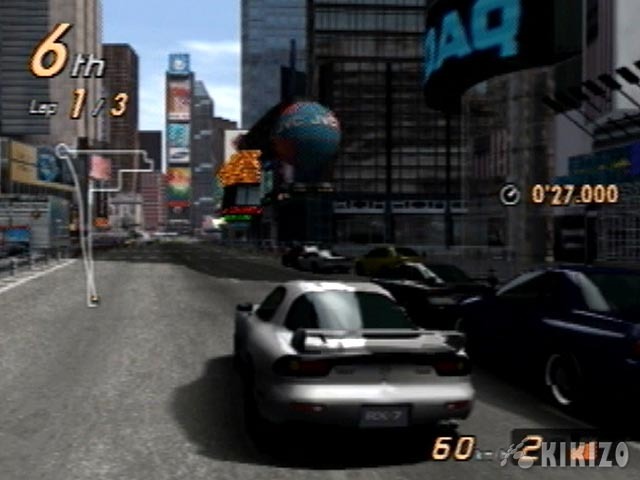 By far my favourite course is New York, which puts drivers in the senses-shattering Times Square near the starting grid. I have to admit I'm biased, as I really love this place (yep, even in a damn snow storm); most people would probably cite Grand Canyon as their favourite Prologue track. 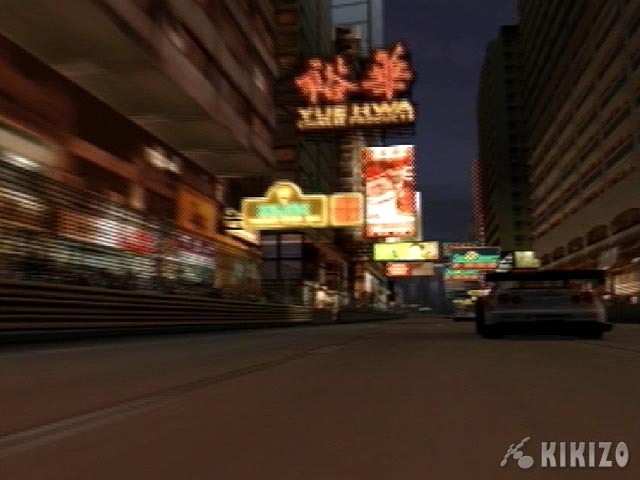 I was fortunate enough to spend last week around Times Square, and give or take a couple of places (such as Bar Code) that have closed down since Polyphony built the course, everything is perfectly recreated. 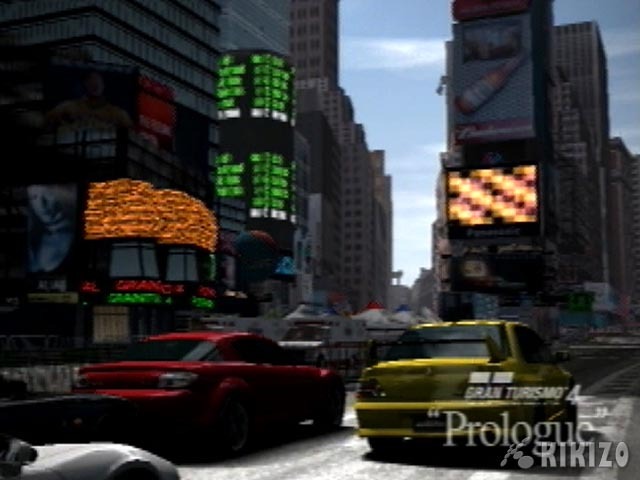 It really does destroy PGR1's Times Square somewhat, with a more grittily authentic and animated feel. 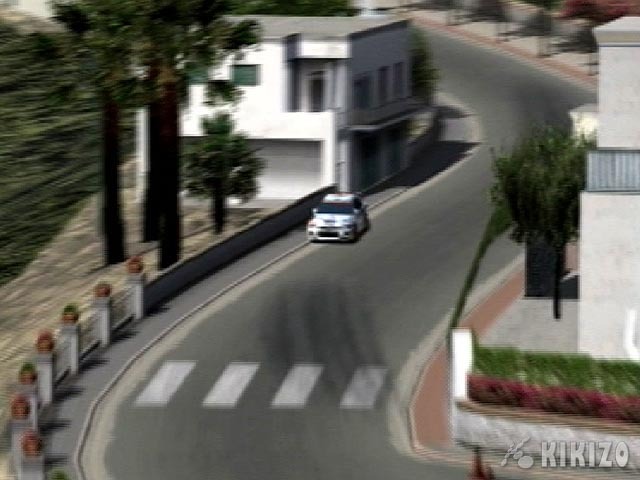 As far as the race here is concerned, it's really nothing more than a two-minute course of right angle turns, but it just feels so good to race around there. 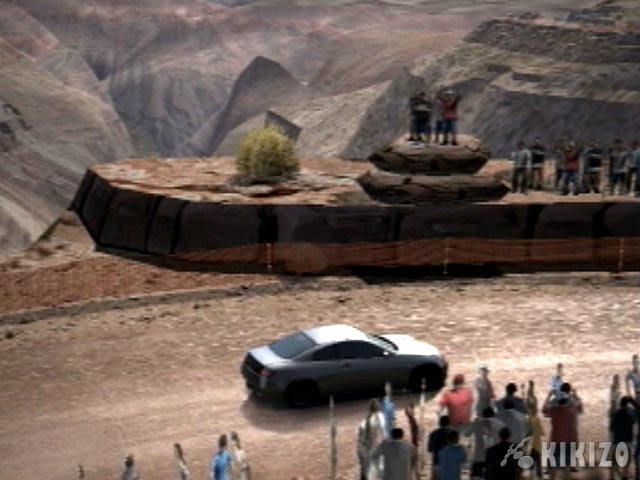 Grand Canyon is the game's next showpiece, and the track GT4 followers noticed most back in May. 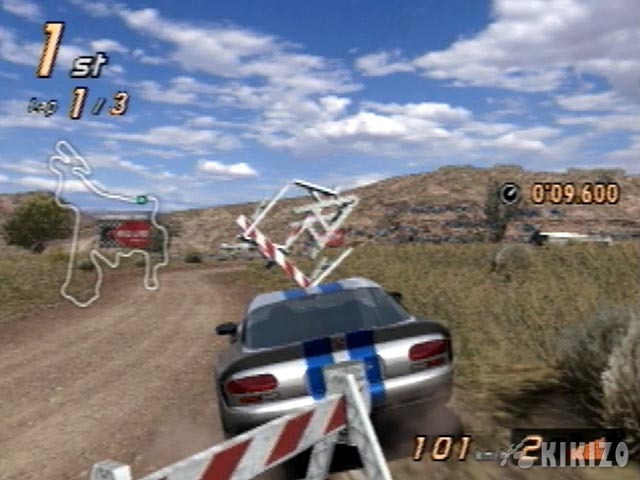 A very large, meandering course, Canyon's challenge is derived mainly from the slidey track surface - and only the best rally cars will stand a chance when you've maxed the difficulty level in the options menu. The spectacularly good-looking course also demonstrates the true authenticity built into GT4's car mechanics, with severe oversteer being a common pitfall, especially when accelerating out of a bend too quickly. This unforgiving track simply won't stand for such errors. Citta di Aria in Italy is the third impressive course. A big fuss has been made about it, but personally I don't think it's that stunning. The sheer intensity of the course can be overwhelming though, with a series of very narrow sections and a real kinetic energy from constantly steep ups and downs. It looks good, with quaint, old-fashioned buildings lining pretty much the entire course, but it doesn't look as pretty as Grand Canyon at the moment. 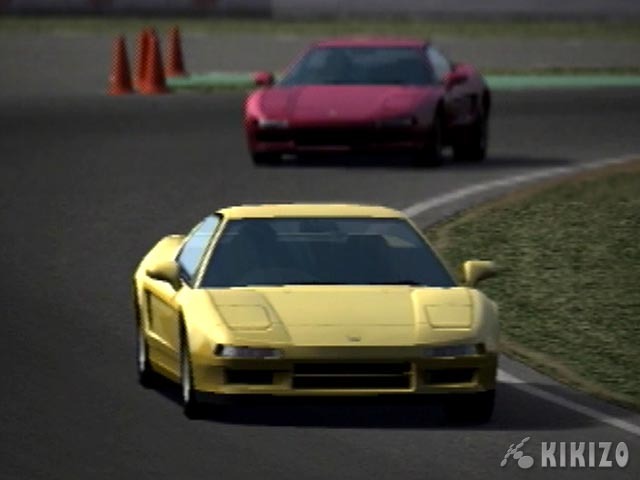 Fuji Speedway and Tsukuba Circuit are proper racing courses, with proper tarmac and proper circuit layout. 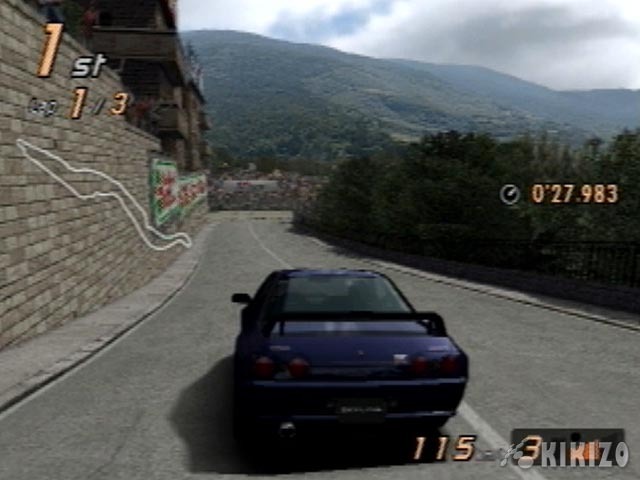 Both offer a comparable level of challenge, although Fuji is considerably bigger with one particularly huge straight. It's no surprise that the majority of School Mode challenges take place on these circuits, which are designed to strip as many variables (like sand) as possible and leave pure driving science the choix du jour. Visually they won't wow you like the other three courses, but on the plus side, you can race against opponents on both of them. 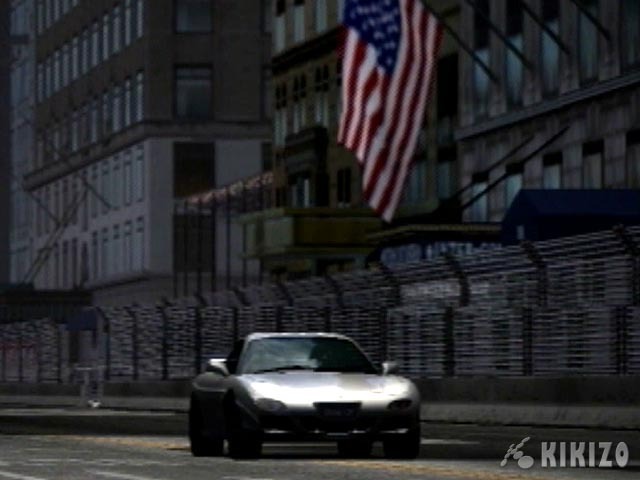 New York is the only other circuit that lets you race opponents - for some reason, opponent cars are nowhere to be seen in Grand Canyon or Italy. 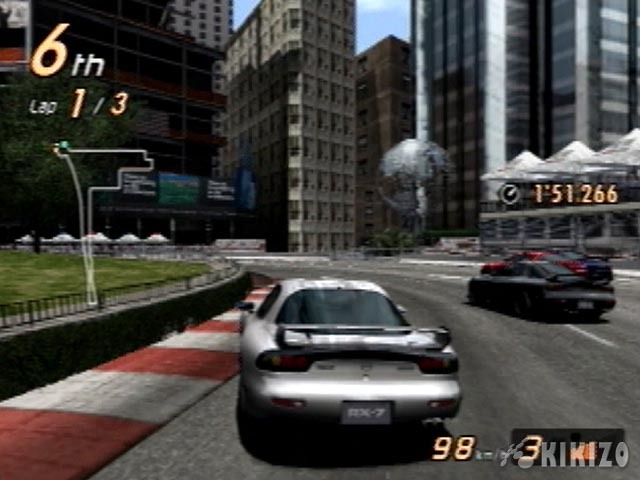 One part of the GT4 experience we couldn't really judge effectively at E3 or TGS was the sound. When you get the game up and running with no interference, the sound will blow you away. 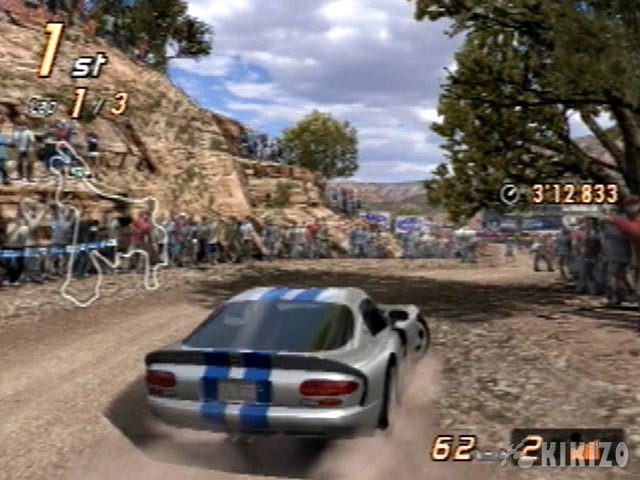 Fans of the series will know what to expect, but having not played GT for an absolute age, I was really impressed with the engine sounds here. In New York especially, the tall buildings and urban layout causes a distinctive echo, which chucked around the sound of the Skyline's revving engine quite beautifully. In Grand Canyon, the sound of the sandy gravel squashing under your tyres with the low camera view is also pretty satisfying. Graphically, GT4 looks stunning, as you already know, with instant fanboy gratification derived from sixty frames per second action. 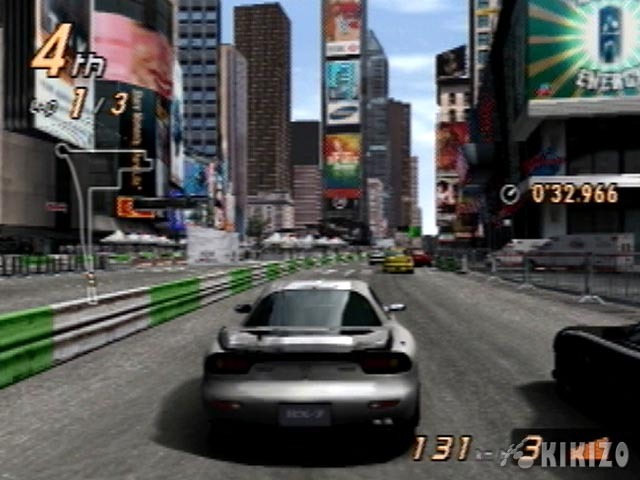 Since the only racing game as good looking as this right now is PGR2, I'm afraid comparisons are inevitable, but because a finite number of you will care I'll keep it brief: GT4's texture detail, reflective and real-time effects work is not quite as good as Gotham 2's, but GT4 has some unidentifiable subtleties that give the game a constant, more believable photo-realistic edge, and not just in screenshots. 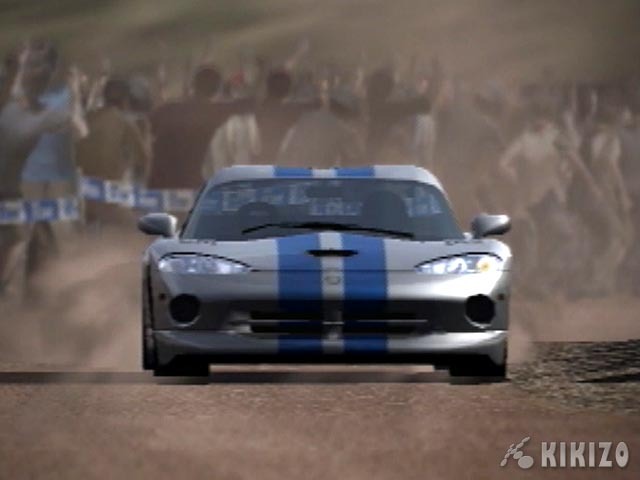 Remember though, we've not seen any weather effects in GT4 just yet. 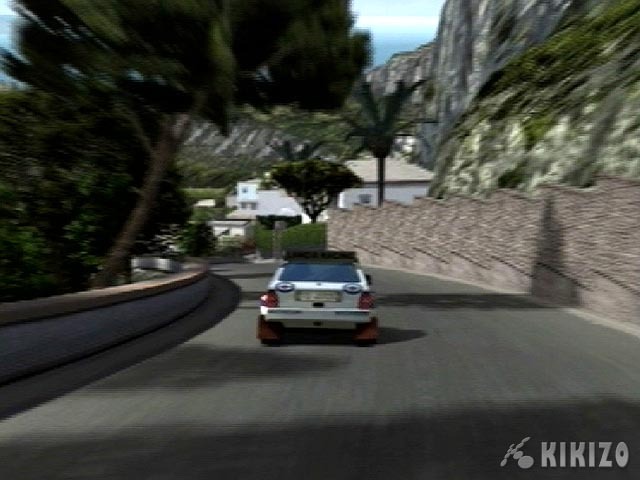 GT4 has the most detailed backdrops (as in distant rockfaces and even entire villages, miles away) we've ever seen in a racing game. And finally, sixty frames does make a tremendous difference. 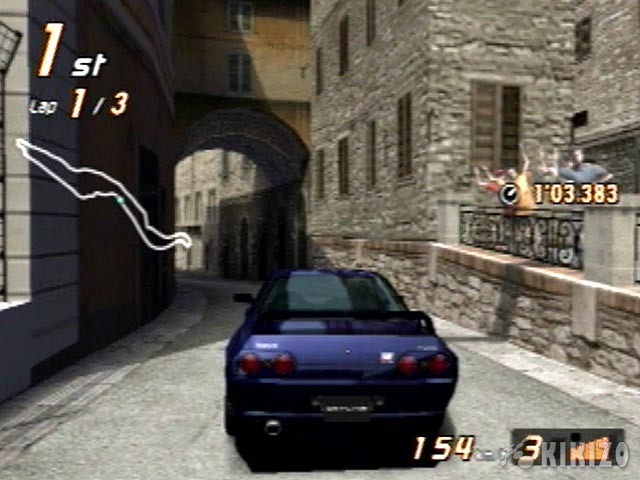 There are some graphical points we would like to see improved before GT4's full release, such as pop-up on the bigger courses. It would also be nice to hide the flat nature of the spectators, who are now animated but somehow don't fit when the rest of the game looks so 'next-gen'. But there's a while to go yet, and let me tell you, PGR2 preview code had a lot more problems than Prologue does right now. 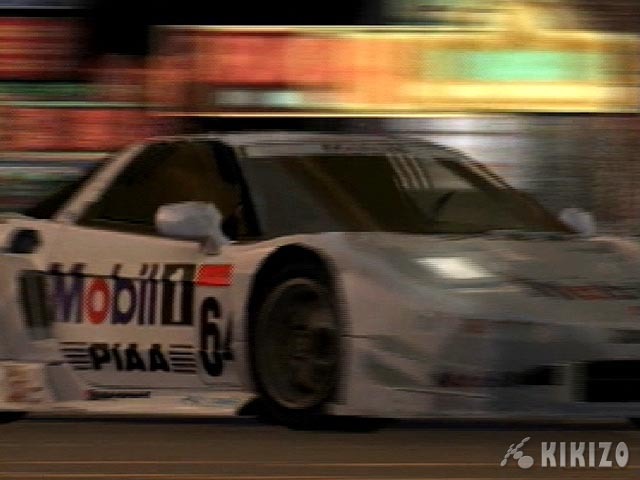 On my retreat to Switzerland let me say that both games look incredible, I just thought it should be explained that each looks good for marginally different reasons, and usually in different circumstances (comparing gameplay is pointless of course, as they're quite different racers). One thing both definitely share in common - they both look best in replays, and you can see a ton of those in our videos below. 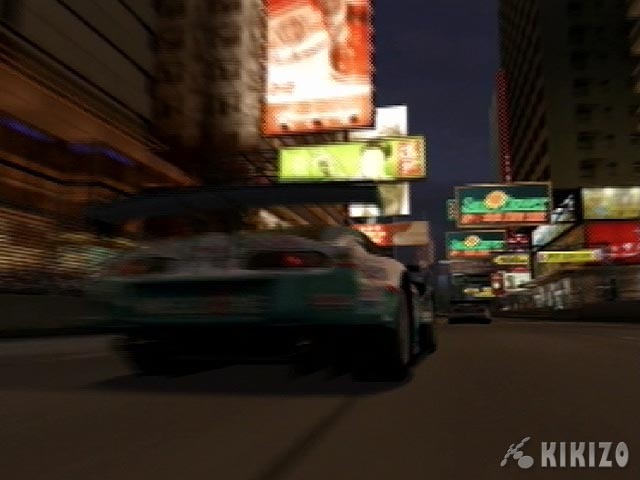 As an import purchase, GT4 Prologue is definitely recommended for any gamer who wants to play next year's biggest racing right now, and a must-have for die-hard fans of the series. 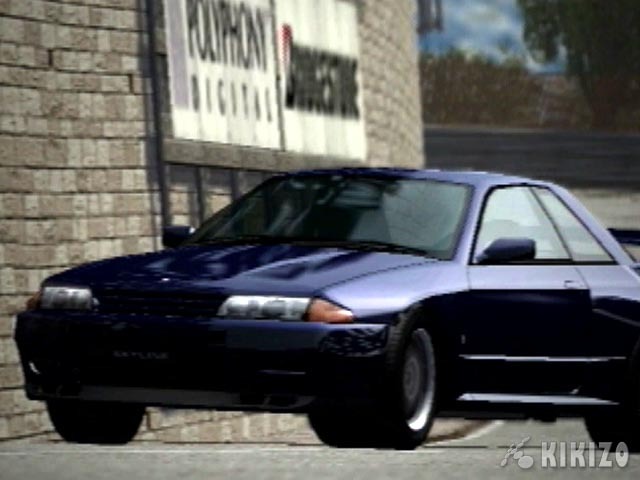 If you're strapped for cash, you should probably try to see it down at your nearest import emporium. 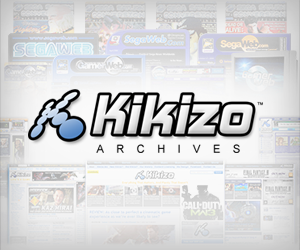 Either way you should definitely check out some of our 24 hi-res, direct feed videos immediately. Here are some of the new courses, revealed in Prologue. One special treat is in store for those who complete the bulk of School Mode. A lengthy video sequence (also available below) which starts off with the full making-of / behind-the-scenes video, followed by the real prize - a shorter sequence showing a number of STUNNING new circuits to be included in the final game. We won't name the locations here (not because we can't tell where most of them are - promise) but we've included some screens and the entire mind-blowing sequence (split onto two parts) below. A quick note to all of you downloading the videos: if you're pissed off with the download speeds during busy times (i.e. almost all the time) then there's good news - we've upped our bandwidth set-up exponentially, just for you and all for free, which will mean fast downloads for everyone, starting next week. Hurrah! 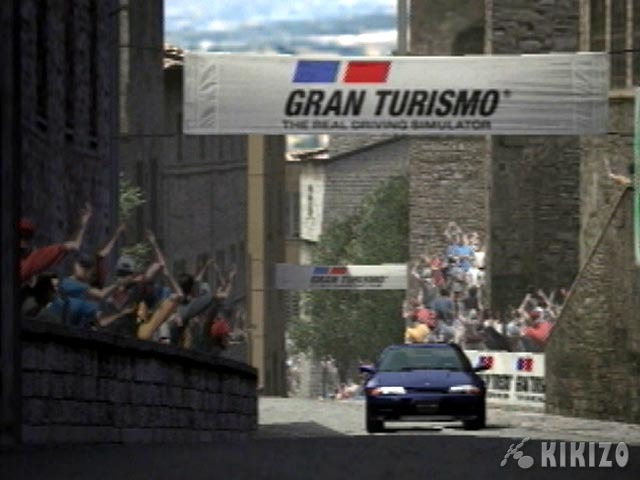 Click 'related articles' for our GT4 coverage archive, and stay tuned for all the latest on Gran Turismo 4.